An absolutely stunning second novel by Julianne Donaldson. This book is a treasure that will remain forever on my shelves and be shared through generations. Julianne has taken Jane Austen's style and period and crafted a novel that is poetic, deep, haunting and classically romantic. I re-read Blackmoore in preparation for my post, and those who know me well will know that I have only read a handful of books twice through. I think I can honestly say it was better the second time than the first. There is just so much to be discovered and unfurled. There are so many levels of symbolism, sentiment and character development that one could safely read and re read Blackmooore over and over again. Kate Worthington is a voice we can all relate to, a women on a quest to discover who she really is and how to escape her cultural traps. She feels misunderstood and misplaced within her family of ill behaved women. When a series of revelations about her mother and her childhood friend Henry lead her on a path of change, she decides it is time to lock up her heart for good. 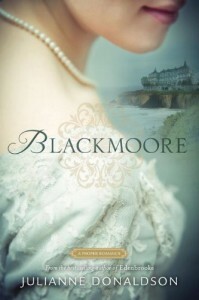 Her deepest desire is to visit Blackmoore, the summer estate of Henry's family and to make a trip to India with her Aunt Charlotte. Her dreams are almost dashed when she rejects the unwelcome arrangements of her mother, but Kate has a plan...one that just might break the heart of her admirer and break the chains of her entrapment. The Gothic tone and mysterious setting of the moors next to the sea make this a wonderful Fall or rainy day read. Written in Kate's first person point of view with flashbacks from the past, the story line moves swiftly and I admit I read it all in one day. It is amazingly well written and I will recommend it to all my friends. 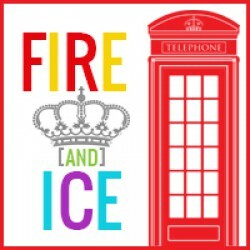 Thanks to Julianne for helping me out of a reading funk and for keeping me on the road of Regency Romance with clean content.